A web application in SharePoint acts as a container for one or more site collections. Web applications provide the link to the corresponding web site in IIS and to specific content databases in SQL Server for the storage of site collections and associated content. How to Create a Web Application in SharePoint? Fill-out the details for your new web application. 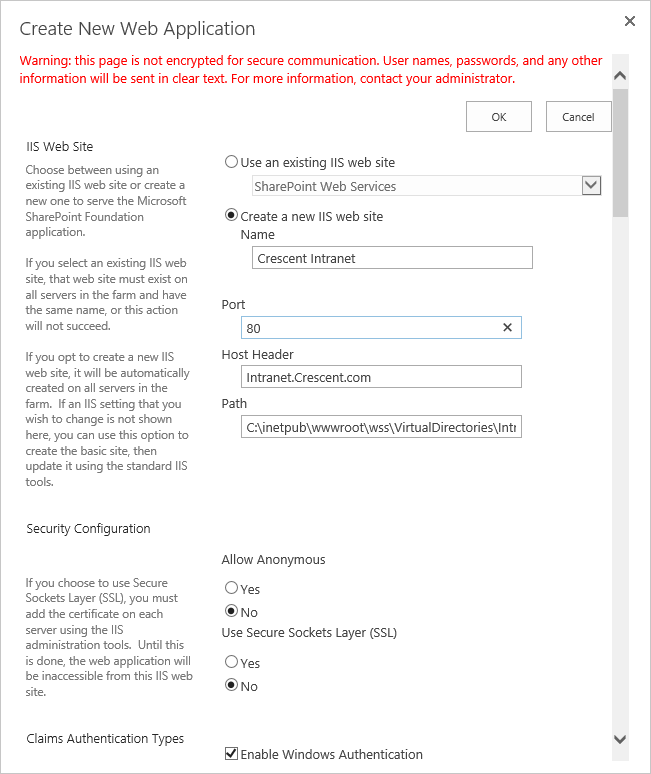 Such as: Web and click on "Create" to create a web application in SharePoint 2013. How about SSL Enabled Web Application? This creates a new web application using PowerShell for SharePoint 2010, SharePoint 2013 or SharePoint 2016. But wait! You are not yet done. You got to create the root site collection for the web application. If you try to browse to the web application without creating top-level site collection, you'll get "HTTP 404" error! Although this script is written to create web application with PowerShell for SharePoint 2013, It can be also used in creating a web application for SharePoint 2010 & SharePoint 2016 too. Just leave the AuthenticationProvider parameter in the above script to create new web application in classic mode. You must keep number web applications and IIS websites as low as possible for better performance! Do not create more than 20 web applications per SharePoint server farm. If you need to provide multiple paths to your sites, use host-named site collections instead of creating additional web application. what is the command for formsbased authentication ? How to Disable Attachments in SharePoint List?